Posted April 8th, 2019 by Detroit Sound Conservancy & filed under OUTREACH. 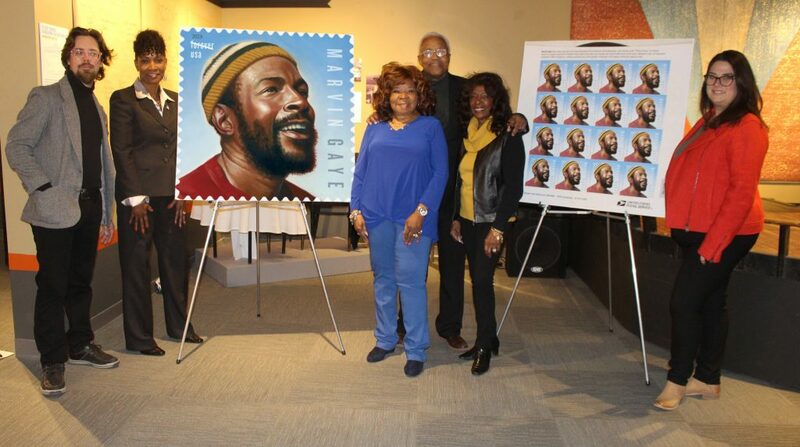 On April 5, 2019, we were honored to be a part of the unveiling of the new Marvin Gaye stamp. The unveiling took place at the Detroit Historical Museum inside our Salvaging Sound exhibit on the Historic Blue Bird Inn Stage. 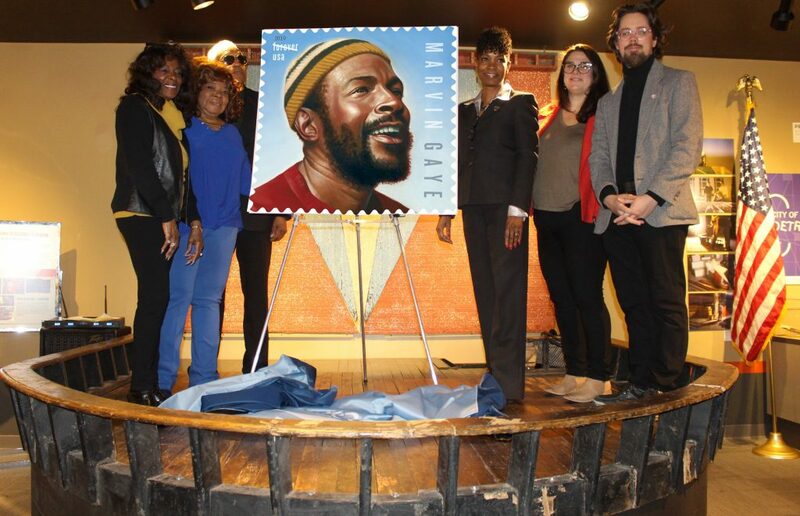 The event was coordinated by the United States Postal Service. The photos below were taken by the USPS. From left, two of the original Vandellas, Annette Beard and Rosalind Ashford-Holmes; Paul Riser, Sr; Patricia Bridgeforth, manager, Marketing; Rebecca Salminen Witt, chief development and communications officer, Detroit Historical Museum; Dr. Carleton Gholz, founder and executive director, Detroit Sound Conservancy. They are standing on the original Blue Bird Inn stage, a historical artifact where future Motown performers and jazz musicians played in the 1950s. The Blue Bird Inn was located near the Motown studios in Detroit, MI. From left, Dr. Carleton Gholz, founder and executive director, Detroit Sound Conservancy; Patricia Bridgeforth, manager, Marketing; Rosalind Ashford-Holmes, one of the original Vandellas; Paul Riser, Sr; Annette Beard, one of the original Vandellas; and Rebecca Salminen Witt, chief development and communications officer, Detroit Historical Museum. 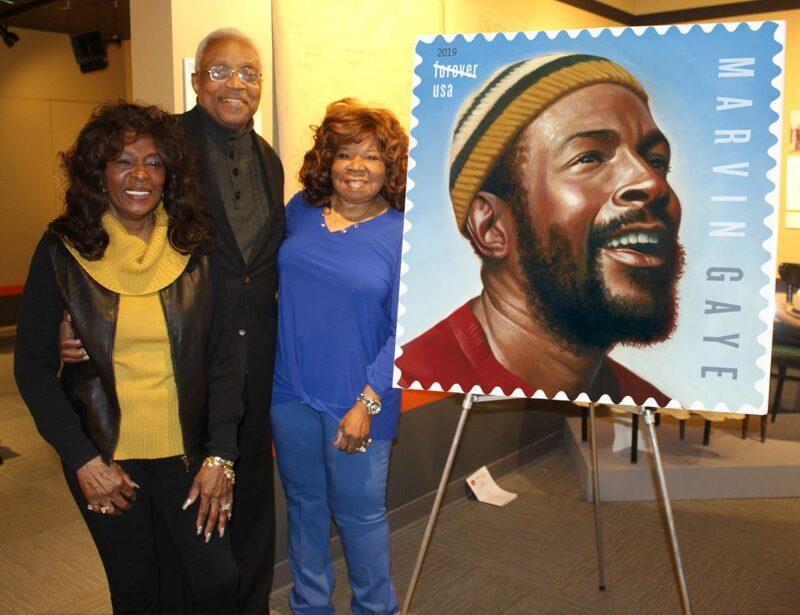 Two of the original Vandellas, Annette Beard and Rosalind Ashford-Holmes with Paul Riser, Sr. in the center.